He clawed feet is an ancient way to depict the fact she visited the Underworld. Thus begins one of the most famous Sumerian myths of all time, with one of the most famous introductory passages of all time. The new novel I am working on is a retelling of the Inanna myth. 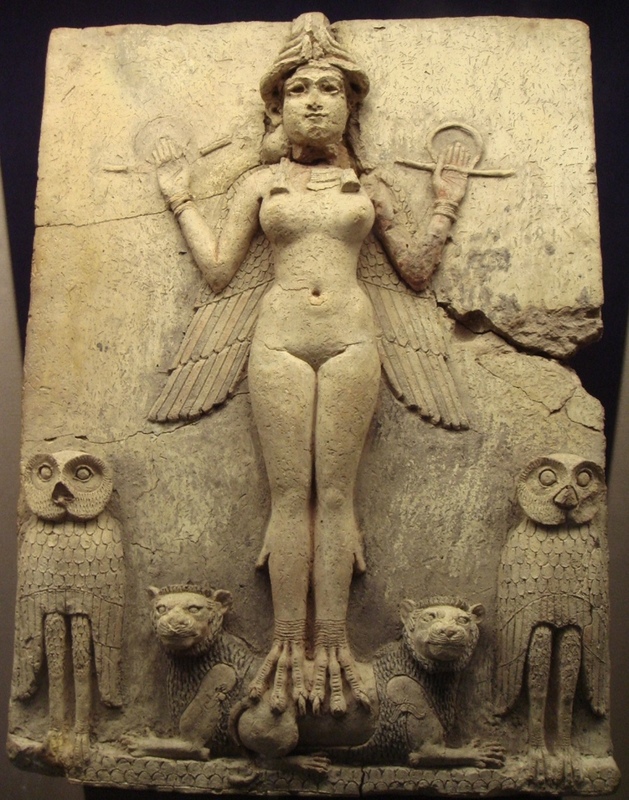 Inanna was a Sumerian goddess of fertility, love, and war. Venus is her star. As she descends to the Underworld, ostensibly to find either power or knowledge (the poem is open to interpretation), she has to divest herself of her garments. This is probably a metaphor for divesting herself of certain earthy illusions, but it can play either way. Anyway, as you might suspect, descending to the Underworld is a really bad idea on her part, and it doesn’t work out the way she thinks. When she does not return, her loyal servant, Ninshubur, goes in after her. I became aware of the Inanna myth a year or so back. I immediately thought it would be a nice framework for a story. At the time I was thinking about writing a Great Depression novel. I wanted to examine the hobo culture at the time. Personally, I don’t buy into the romanticization of that period. Frank Capra’s idealistic portrayals aside, I don’t think it was a heroic lifestyle at all. I believe it was brutal, hard, dehumanizing, and violent. That’s the novel I am going to write, anyway. Or attempt to write. There are many translations of the Inanna poem online and you can find them rather easily. The problem with the translations is the language itself is so ancient you can read many things into it. Which, for a writer, isn’t all that bad. Another depiction. 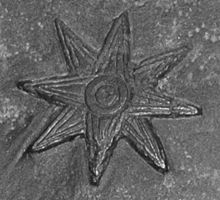 Again notice the Star of Inanna (Venus) in the sky. 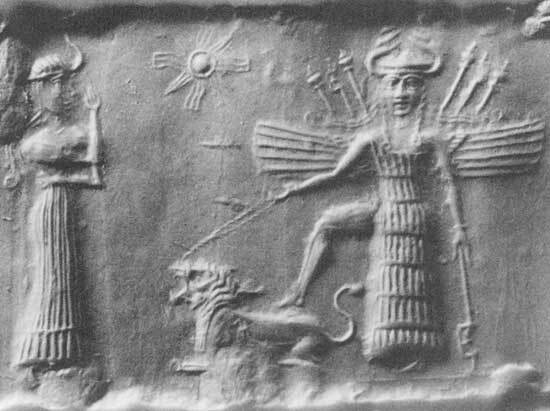 The ordinary people above Inanna are the people of Earth. The creatures below are those of the Underworld. Sounds interesting. Good luck with the project. Hmm. Now you’re in my territory–goddess myths. Combined with hobo culture? That should be very interesting, cousin. Good luck. Thank you, I hope I can give this the treatment it deserves. I finished the first chapter today. So far so good. Thank you. I wrote the first chapter yesterday and it went all right. I’m eager to see how the rest of it will play out. There are people in the Dallas area who call themselves Sumerians. It is a branch of neopaganism. The word is they are more into “hedonism” than the average pagan or Wiccan, who by contrast are more into nature. I was not aware of that. Thank you! Good Luck with the book. I’m currently writing a rock Opera on her descent with a modern parallel. Anyone who has spent 5 mins in a dementia unit would recognise Ereskhigals realm ! Would love to chat about ideas etc?